I’m excited to take the kids to see The Monster Jam® next month! 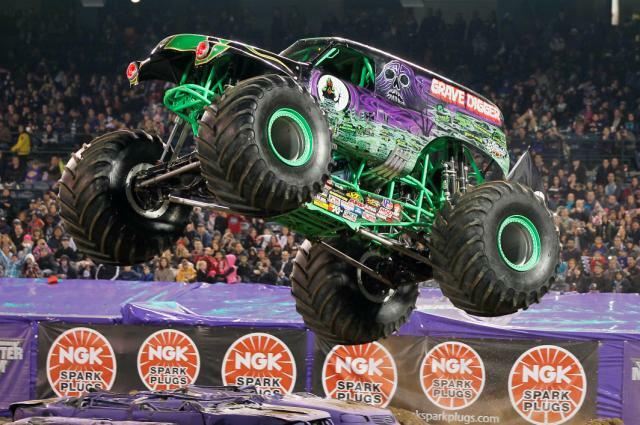 The Monster Jam® tour is heading to Portland at the Moda center on February 13th and 14th 2016! The Monster Jam® show is a fun-filled and actioned packed live motorsport event tour that is a must see for anyone who loves to be entertained. This year the Monster Jam tour is delivering even more things that fans want to see, including more trucks, more racing, more freestyle, more donuts, more wheelies, and more action. The East and West tours will test the versatility of the athletes as they go head-to-head in seven different competitions driving three different vehicles – Monster Jam Trucks, Monster Jam Speedsters, and Monster Jam ATVs. These athletes will battle for points in challenging racing and freestyle events that push themselves and their machines to the limit. If you’ve never attended a Monster Jam® Arena Tour this is the perfect year to go! Head over to Twitter or Instagram and check out all of the images from others by using the #MoreMonsterJam hashtag!